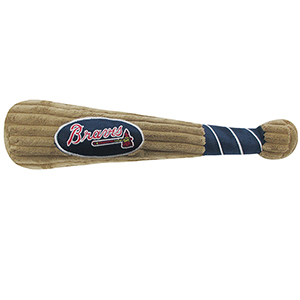 Show off your team spirit with this MLB Plush Baseball Bat Toy. Bat Toy is poly filled and has an embroidered team logo. Perfect for dogs who love squeaking toys!